Since the emerging awareness of Fair Trade in 2004 in Hong Kong, the concept of Ethical Consumption as a consumer responsibility started to take shape. The humanity message behind the term is the care for the needy people, whether they are in Hong Kong or some remote countries. It is an ‘alternative’ consumerism. A study commissioned by Oxfam Hong Kong reported that the total Fair Trade product consumption in 2006 was around HK$8.4 million. Early this year, the term Socially Responsible Consumption began to surface. It is a concept as well as a social movement. It cares and covers a broader range of producers, service providers, and traders — all can be classified as social enterprises. 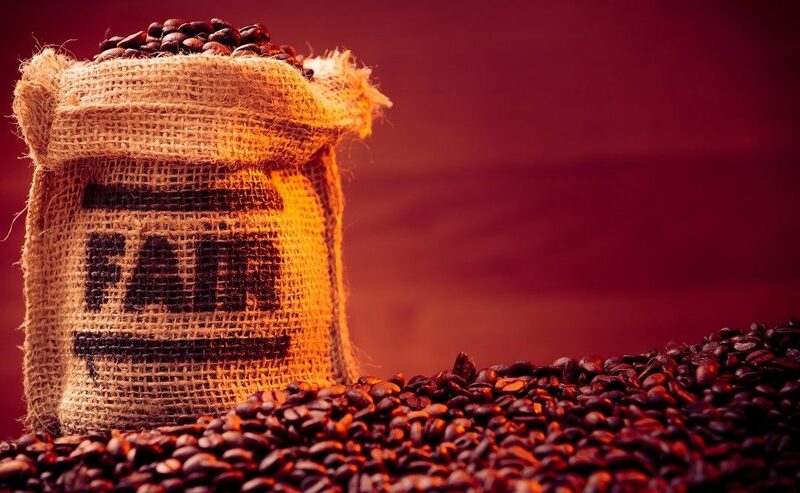 Not only are the coffee farmers in Latin America and the farmers in remote rural China, but the disadvantaged and marginal groups in Hong Kong are being included and benefited in this social movement. Ethical Consumption is a subset of this concept. There are two key factors for the success of Social Enterprises. The first one is Knowledge Volunteers who contribute their professional and business expertise free of charge to help improve the management of social enterprises as well as the quality of their products and services. Based on a Harvard Business School study, entrepreneurs have an average success rate of 22% in the first commercial ventures. It will increase to 34% in the second ventures if the first one is successful. The success rate of a social worker to establish a successful social enterprise venture can be significantly increased if there is professional assistance from those with proven business track record. The second factor is Socially Responsible Consumption. Based on another Oxfam Hong Kong survey, middle class consumers in Hong Kong are willing to pay a premium for products which have a social value and comparable quality. Another survey done by two Hong Kong University students for Fullness also shows that the willingness to buy the services of a social enterprise increases once the consumer understands the social mission behind. Most of the social enterprises in Hong Kong are employing disadvantaged groups in their value chain. It means they might have a less than optimal level of productivity, which results in a higher costing against comparable products from commercial competitors. The premium paid by the consumer is needed to compensate for this costing gap. Social enterprises are more likely to succeed if there are Knowledge Volunteers to push the quality of business management and product on one side, and Socially Responsible Consumption as a market pull on the other. Without quality products, the latter is not a viable way of business survival. In early December last year, during a conversation between a Fullness supporter, Mr. Lai of EC Fix, and the Fullness management on potential business impact of the financial tsunami, Mr Lai proposed a win-win arrangement that his company will encourage the employees to go to the Fullness Salons for services if Fullness offers discounts to them. In this way, the employees can enjoy Good services at Good price for Good Cause (of contributing to Fullness’ social mission), Fullness can secure a pool of middle class customers, and Mr Lai’s company can claim a creative Corporate Social Responsibility (CSR) initiative which is free-of-charge to the company. Within days, the deal was made and the final code name is “Fullness 3G”. To Mr Lai, this is a ‘creative’ CSR program, because it is a win-win-win. Traditional corporate philanthropy is a ‘loss-win’ game, as the money goes from the corporation to the NGO. In this case, the corporation does not need to spend a penny. What it needs is just circulating the promotion pamphlets from Fullness through email to employees, posting in company web-site, and posting the hardcopy in the pantry. Periodically, Fullness will report to all corporate participants how much their employees have spent in the salons based on its monthly customer sample surveys. The corporate can claim their corporate citizenship in promoting socially responsible consumption. This is a positive response to our Chief Executive’s Policy Address in 2007 on “tri-partite collaboration among government, business, and the civic society to help the disadvantaged group through social enterprises”. However, Socially Responsible Consumption will not sustain the business if it is not backed up by quality services. Based on Fullness Salon statistics, the overall customer satisfaction is 4.5 in a scale of 1-5. The service quality is well recognized as reflected by Top Service Award from Next Magazine. As a result, 92% of their customers are willing to recommend the salon to their friends. Currently 83% of the customers are loyal customers. Most of the new customers came to the salon because they heard about the salon through friends or media. They would like to support the Fullness mission in helping the deviant teens. They are the socially responsible consumers, who want to contribute to a good cause while at the same time enjoy good services. Statistics from Fullness show that while most of the new customers come to support the social mission, repeated customers come mainly for good services, and at a price which means a 10%-20% premium only. 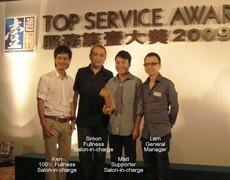 The ‘Fullness 3G Program’ was rolled out in January to March, 2009 and the Fullness salon business in Sai Wan Ho had jumped 25% as compared to quarter one of 2008. In April, the board decided to expand the business. A new shop was rented within a month, renovated in May, and opened for business on June 1. The new shop was operationally breakeven in the first month and the business continued to increase by 33% in July. Socially Responsible Consumption is not charity. It is a social responsibility of contributing to the betterment of our society. On top of receiving the corresponding products or services, the consumption also represents an endorsement of the social mission as well as the selected social enterprises. It is a ‘vote’ to these organizations which are helping the disadvantaged groups in our society through business operations. One of our other social responsibilities is paying tax, with which our government will fund selected NGOs to provide relief and assistance to the needy. While most government-sponsored social enterprises are still running at a loss, they are very likely delivering a better social return on investment as compared to the sheltered workshops and charity organizations because of the attention to the business principles such as focus on efficiency and effectiveness, and the elimination of the administrative costs of the civil service. Kee is also heading a HKSEF taskforce to promote socially responsible consumption.